Planning a spectacular party in London? 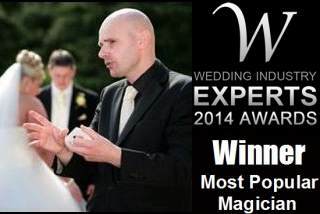 Well, make it even more fantastic with the presence of world class magician David Fox! 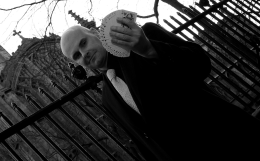 David's extensive repertoire of mystery, magic and illusion are ideal for special occasions throughout the London area. Whether it be a birthday party for your son or daughter, anniversary bash or house-warming function, London party magician David Fox is the perfect choice of entertainer and will help to make it an exceptional occasion! Guests will forever be in awe of the mysterious yet friendly stranger who enhanced, enlivened and elevated the proceedings in a spectacularly magical way! Close-up 'mix-and-mingle' magic is very popular at parties nowadays but David Fox can even deliver his very own unique stage/parlour show for everyone present.